Apple: Fear Samsung? Fear Android? Ha! Oopsies. A U.S. District Judge inadvertently published a ruling on the Apple-Samsung patent battle that included details not deemed suitable for public consumption. 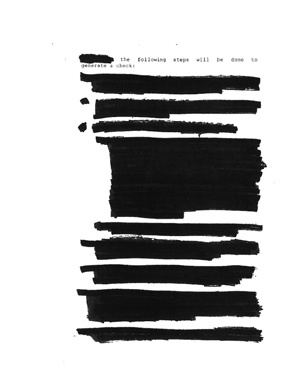 The judge’s staff quickly pulled and sealed the electronic document, and republished a new version with various parts redacted, but not before Reuters was able to get a copy of the uncensored version. According to the redacted portions, Apple’s own studies show that existing customers are unlikely to switch from iPhones to Samsung devices. Instead, the evidence suggests an increase in sales of Samsung smartphones is likely to come at the expense of other smartphones with Android operating systems, [the judge] wrote. This is interesting, if true. I, for one, have long seen Android and iPhone users as cut from different cloths. Android offers more of a “PC” experience, where iPhone is (obviously) more Mac-like; one emphasizes customization and flexibility, the other a controlled but consumer-friendly experience. My own experience with social media and the comments on TechnoBuffalo articles backs up the assertion that iPhone users are interested in the next iPhone, Android users are interested in the next high-end Android device, and nary the ‘twain shall meet – but I haven’t done any scientific research to validate this observation. If anything, though, I’d say that Windows Phone 7 could represent a threat to both camps if Microsoft and its partners play their cards right. Then again, I was singing the same tune about webOS just a year or two back and we all know how that story played out. Beyond that, the ruling contains further details on Apple’s internal analysis of the smartphone market, and licensing deals they struck with IBM and Nokia. Also mentioned is a licensing deal offered to Samsung in November of last year; the deal was turned down and Apple wound up filing the suit that led to today’s leaks. But back to the point: iPhone users switching to Samsung devices? Would it happen? Could it happen? Does it happen? You tell us … in the comments.